Blue Staking is the act of marking underground infrastructure and facilities, such as electric, gas, water, telephone and cable lines, to prevent them from being damaged during any digging or excavation activities. It is a state law that all underground facilities must be marked before any digging or excavation starts. Arizona 811, previously known as Arizona Blue Stake, performs excavation information services and stakeholder education designed to provide for public safety and underground equipment damage prevention in accordance with the state requirements. 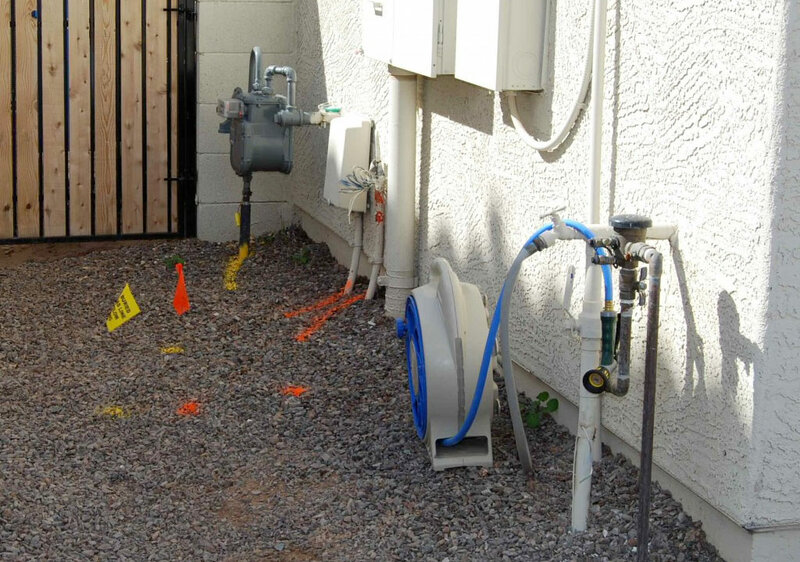 Arizona 811 works with homeowners, professional excavators, facility owners and operators, designers, and landscapers throughout the state of Arizona to identify telecommunication, electric or gas distribution lines. Before any digging or construction occurs, an individual or business can create an online E-Stake ticket at www.arizona811.com to identify areas of concern on a property. This is a free service that is required by law to be complete before any excavation projects can begin. Once a ticket has been created with Arizona 811, a facility owner or operator in the area will either mark underground facilities or indicate a status of “No Conflict” at the property. Once the property has been marked or “blue staked,” then the homeowner or business can begin their excavating project and/or address the areas of concern. It is important to remember that an individual or company that will be digging on a property can be held civilly liable for all damages and may be prosecuted for any criminal violations. In short, this means that any person that digs a trench or hole without clearing it with Arizona 811 could end up paying hundreds of thousands of dollars in fines, damages, judgments and even serve time in prison. That is why is it very important to contact a professional before you complete any projects. Utilities are marked with different colors of paint to help identify the ultilities and ensure safety to infrastructure and lives. The paint used will fade over time but it needs to remain visible during the course of the excavation. 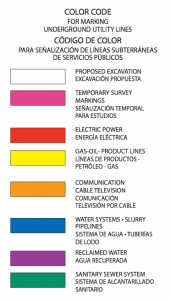 RP Gas is happy to answer any questions you may have about blue staking and utility marks. RP Gas Piping is Arizona’s number one contractor for all your electrical, gas and telecommunication services. They have the staff, equipment and experience to complete all types of projects while staying in compliance with all applicable city and state ordinances. Call RP Gas Piping at 602-252-1635 to discuss your next project.